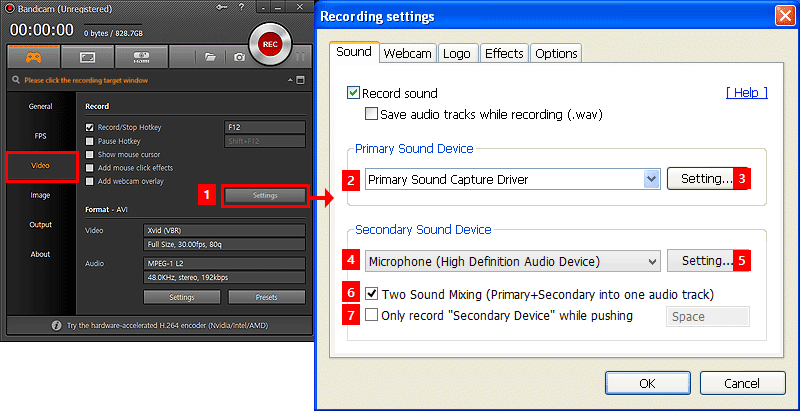 Want to record your screen with audio (System Audio, Mic)? 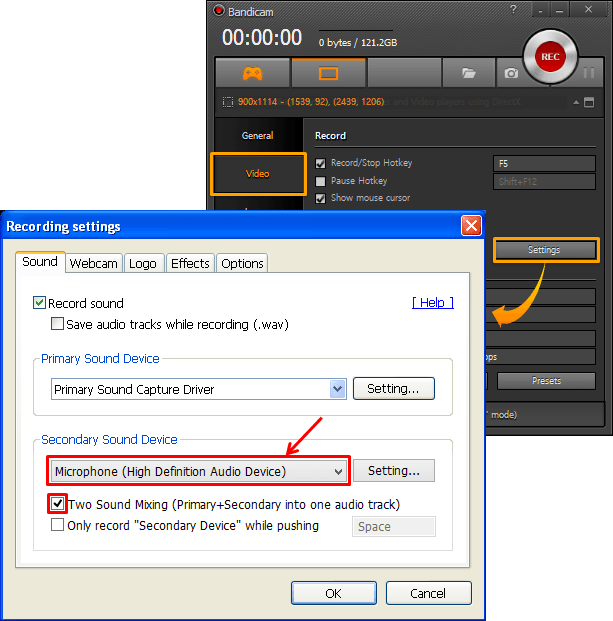 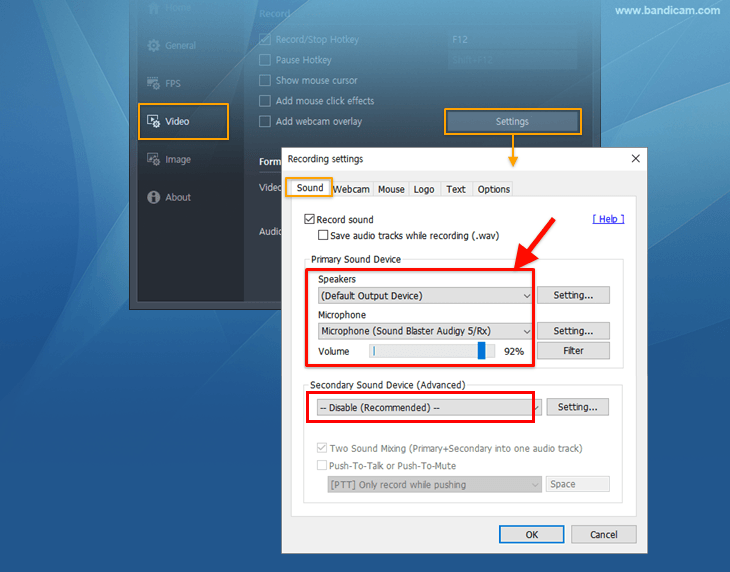 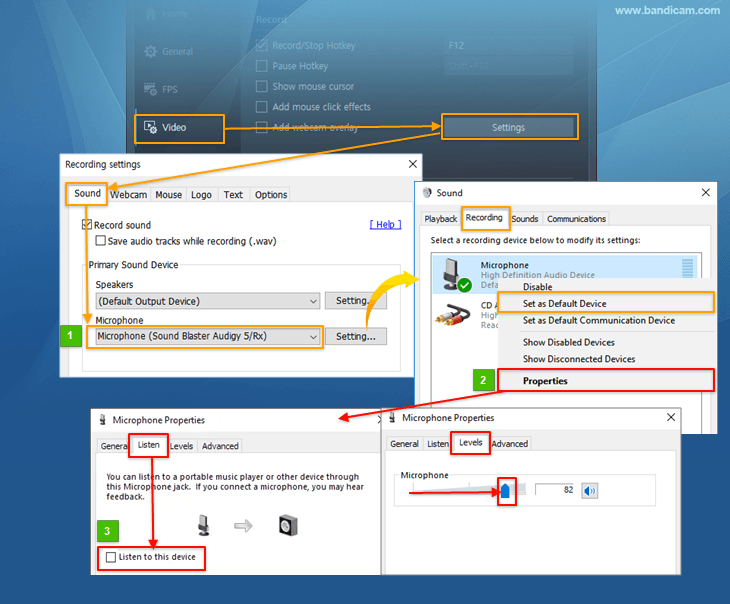 To record computer sound and your voice at the same time in Windows Vista, 7, 8 and 10, start Bandicam -> Video -> Settings -> and choose "(Default Sound Device)" and "Microphone" at the Recording settings, and then check the "Two Sound Mixing" option. 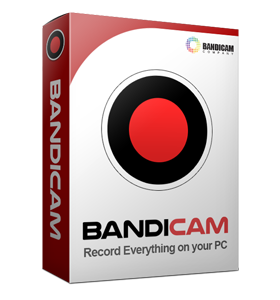 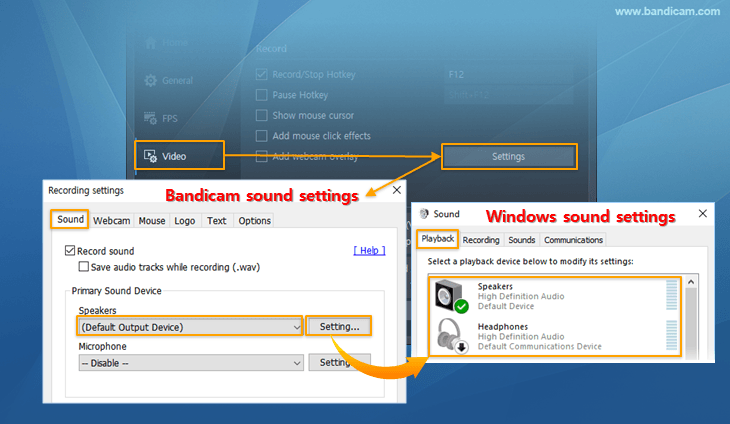 To record computer sound and your voice at the same time in Windows XP, start Bandicam -> Video -> Settings -> and choose "Primary Sound Capture Driver" and "Microphone" at the Recording settings, and then check the "Two Sound Mixing" option.